The 2017 Lamar Hunt U.S. Open Cup Final between Sporting Kansas City and New York Red Bulls will be refereed by PRO’s Hilario Grajeda. The center official will be assisted by Jason White (AR1) and Andrew Bigelow (AR2), while Ismail Elfath will be on fourth official duties. The fifth official, meanwhile, is Jeffrey Muschik. 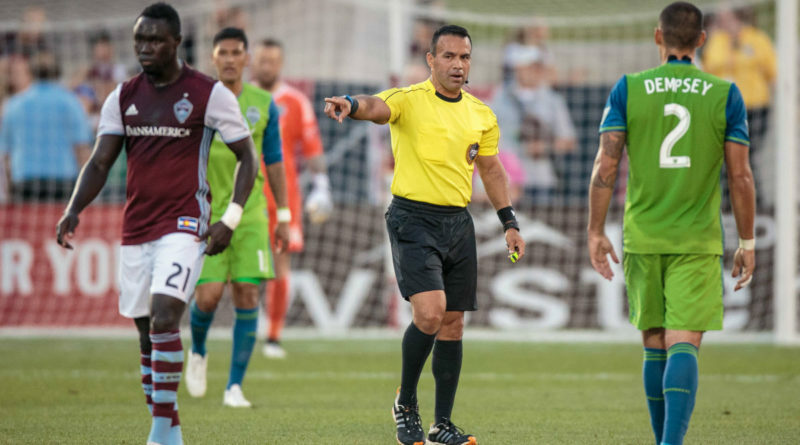 Grajeda has been officiating in the Major League Soccer middle since 2004, recently surpassing the 150-game landmark after taking charge of 13 games during the current season. In 2013, Grajeda was voted Referee of the Year, in a season which saw him also land center assignments for the MLS All-Star Game and the MLS Cup, and this year’s honour is just the latest to be bestowed upon him.